The medieval period is often thought of as the Dark Ages, a period of cultural stagnation and little economic and political advancement. However, Britain in this period survived invasion upon invasion, absorbing aspects of Anglo-Saxon, Viking and Norman culture. Britain developed from a small and fractured island into a more unified and powerful nation that could hold its own in European politics. 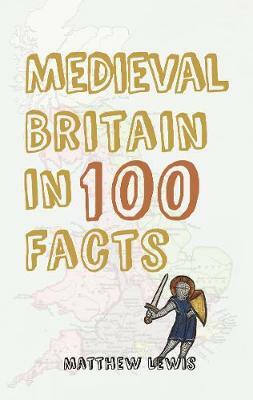 Medieval Britain in 100 Facts covers this extensive period of change, guiding us through the key events, such as the many invasions and internal conflicts, and the key personalities. Matthew Lewis challenges our misconceptions about this period of British history, condensing this huge story into easy-to-read, bitesize chunks. He examines some of the most important aspects of the Middle Ages, from its formation after the Roman exodus, to the Norman invasion, to its eventual decline during the Wars of the Roses.